At last year’s WWDC, Apple warned that macOS 10.13 High Sierra would be the final version of macOS to run 32-bit apps “without compromise” (Marc Zeedar commented on this problem for both macOS and iOS in “The Problem With Abandoned Apps,” 17 July 2017). 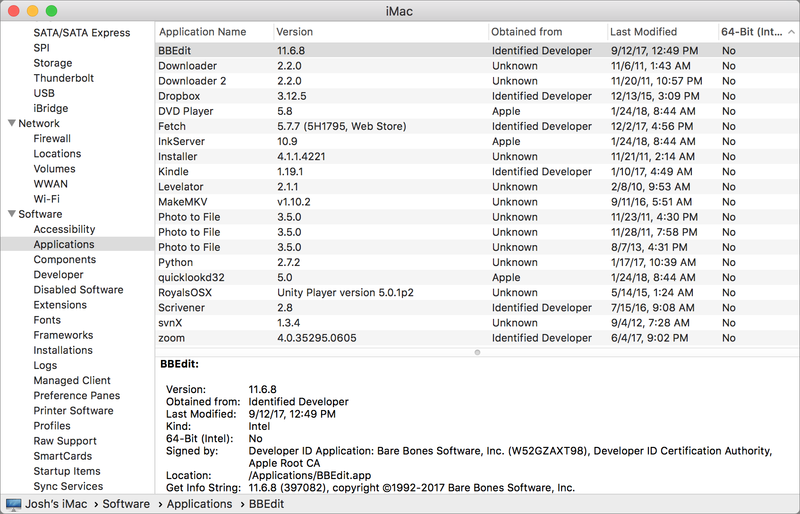 Apple is now taking the next step toward deprecating 32-bit apps, displaying a one-time warning when you first launch a 32-bit app in macOS 10.13.4. 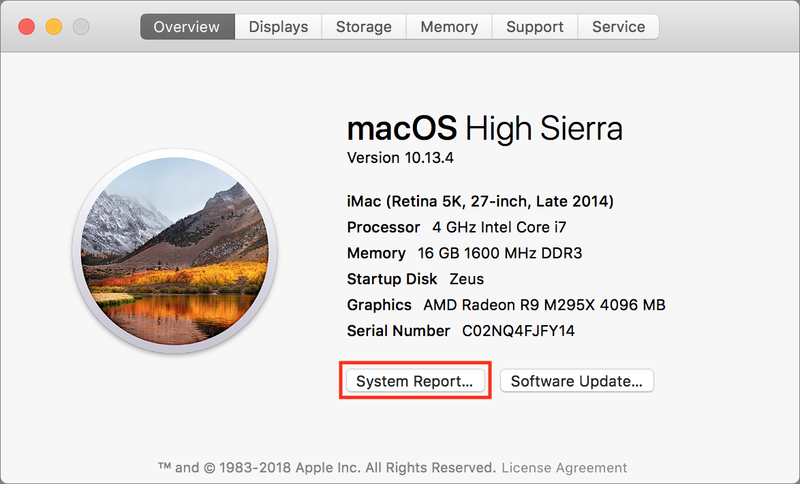 In the Overview screen, click System Report to launch the System Information utility. In System Information’s sidebar, under Software, click Applications. 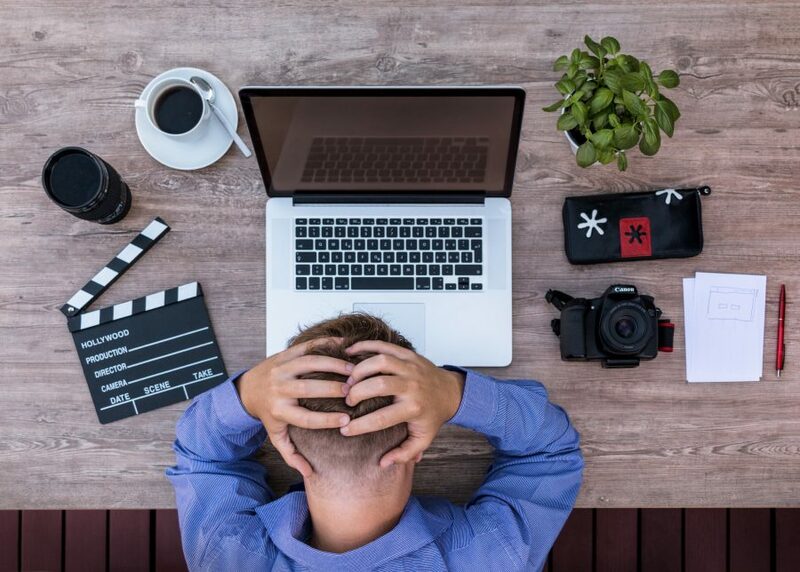 It may take a minute for the list to populate with a list of apps installed on your Mac. Click the header of the rightmost column, labeled 64-Bit (Intel), so that entries marked as No are listed first (if it sorts the Yes entries first, click it a second time). Extra copies of old apps for which you’ve already installed 64-bit versions. You may be surprised how many of these are on your drive, but you can likely delete them. Apps that already have 64-bit updates available, but which you haven’t updated yet. Apps under active development that don’t yet have 64-bit updates available, but almost certainly will before it’s a problem. Older versions of apps that may have a 64-bit update that you don’t wish to install for other reasons. Abandoned apps that will never receive a 64-bit update. The last two categories are where you may run into trouble. It’s unimaginable that Apple would update Final Cut 7 and QuickTime Pro 7 to 64-bit, nor will Apple ever update iDVD. There are other apps with a questionable future where developers may do just enough work to keep the app functional. For instance, Levelator has long been abandoned, but the Conversions Network released a special update for it in 2015 to get it working in OS X 10.11 El Capitan (see “The Levelator 2.1.2 Works in El Capitan,” 1 December 2015).